integration into the university. University Life is relatively young, having been instituted only shortly after the installation of Dr. Alan G. Merten as President in 1996. Previously, university groups that catered to student life had been under the direction of the former Student Affairs Office and had reported to the Senior Vice President of the university, Dr. Maurice Scherrens. Upon arriving at Mason, Dr. Merten found this indirect reporting structure unsatisfactory for such an important function. He expanded the scope and clout of the Student Affairs Office by renaming the division “University Life”, appointed a vice president to head it, and included it in his weekly roundtable discussions with key university groups. While “University Life” as a division was conceived by President Merten, the concept was also on the mind of Dr. George Johnson, his predecessor. In the early 1990s Johnson commissioned a University Life Project Team to assess the needs and strengths of George Mason’s growing campus community, particularly its “learning communities”. However, the interim report produced by the team in May 1991 focused largely on faculty needs and administrative policies, rather than on student-related issues, a choice stated explicitly by the committee: “We did not give serious attention to students, student cultures and motivation, student involvement in university decision-making and such matters.” The report reflected faculty, staff, and administrators’ suggestions for the university’s improvement; they believed that “addressing [student concerns] effectively depend[ed] on resolving more basic issues concerning the institution and its faculty”, and so became the team’s “top priority”. However, a Student Services Transition Team was constituted by President Johnson in December 1994 to “assess existing student service in terms of current functions, their current linkages with other academic and support services, and possible realignments” in order to determine “the extent to which they reinforce learning”. This team, which suggested organizing student services into five “clusters”—for example, “Student Development” and “Intercultural,” among others— paved the way for the structural foundation of University Life, which reorganized itself into three clusters (Health and Wellness, Campus Life, and Academic, Career, Counseling, and Educational Services) in 1998. University Life’s initial Mission Statement was drafted in the spring of 1998. It stated: “University Life provides academic, career, social, emotional, and health services that are integral to students’ educational success and to the fostering of a unified community”. Dr. Rosenblum believed that it was evident that the offices encompassed by University Life needed a more focused, unified vision, as surveys taken by graduating seniors in 1997 indicated a general dissatisfaction both with their sense of belonging on campus and with overall “campus life”. By charging the multiple offices within the University Life division to consider their programs in terms of their “impact,” Rosenblum hoped that the multiple offices would become more “open to new ways of working—ways not based on the fact that we have always done this, or done this much, or done it this way, but instead operate from what we can determine to be the outcome of our work”. 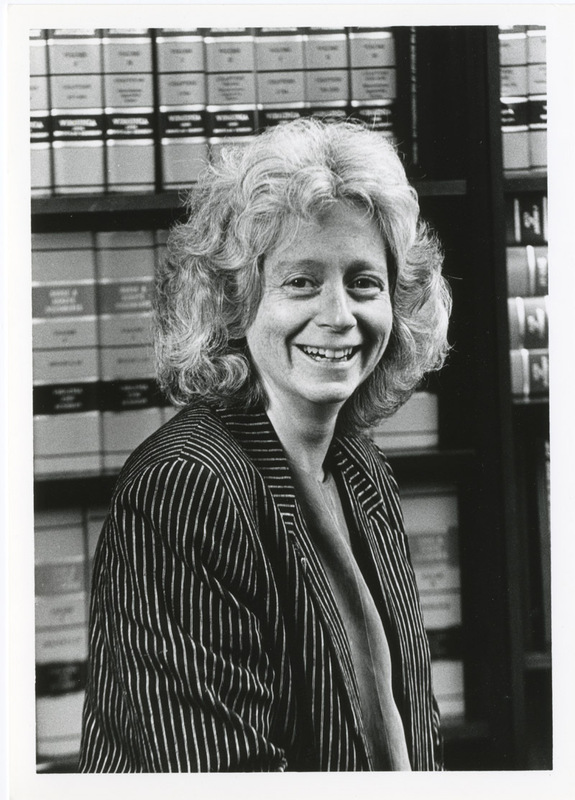 In order to determine how University Life could continue to improve the campus experience for students, Dr. Rosenblum hosted the university’s first “Listening Days” in April 1997. She and other faculty and administrators took comments, complaints, and suggestions from students, faculty, and staff. Lack of faculty-student interaction and the perception of a lack of community were frequently raised criticisms of students, and these were two issues that Rosenblum worked to address through University Life’s various offices and resources. Faculty members were invited to participate in Welcome Week events for Freshmen, and the advising process was addressed. A committee was established in the summer of 1999 to design and implement a greater number and variety of weekend programs. Dr. Rosenblum explained that an influx of immigrant and refugee students from areas like Korea, India, and the Middle East had a significant influence on the student body and made the university “much more appealing to students who live in areas that don’t have this diversity.” In an effort to increase awareness of diversity, she promoted Mason’s partnership with the National Coalition Building Institute (NCBI). In a letter to members of the President’s Council, Rosenblum explained that NCBI teaches “prejudice reduction and conflict resolution models that have been key to reducing inter-group conflict at many colleges in universities” and that its “programs offer a systematic approach to welcoming diversity and addressing controversial issues both in and outside of the classroom”. She encouraged faculty and staff to attend workshops and to extend the invitation to their co-workers, as well. In the early 2000s, a committee tasked by Dr. Merten to review the function of the University Equity Office agreed that the office should “broaden its mission to include the issue of diversity.” It noted that “University Life has done a much better job with students than we have for employees on the issues of diversity. Graduating seniors on our annual survey routinely report that GMU’s diversity is one of the strengths of their experience at Mason;” that observation was likely due to Rosenblum’s initiatives. Dr. Rosenblum noted that one of the biggest changes brought on by the advent of University Life was in regard to housing. In 1995, George Mason “became one of the first universities in America to privatize campus housing for students.” The university had “neither the staff, nor the expertise, nor the money” to direct housing on its own at that time. But students soon found the quality of the administration and upkeep of housing by outside contractors unsatisfactory. Rosenblum felt that housing’s later coming under the control of the university again, this time as part of University Life, has resulted in a dramatic positive change. Dr. Sandra Hubler Scherrens became the second Vice President of University Life that same year. Though she had been working in California in a similar capacity for a number of years, Dr. Scherrens was drawn to George Mason because of the beauty of the campus and the people she met, particularly President Merten. His acknowledgement of the fundamental importance of students was one that inspired her, as he believed that “the co-curricular experience is just as important as the academic experience; they go hand-in-hand.” She was attracted by George Mason’s vision for University Life—it was the only university in the country to give the division that title rather than “Student Affairs”—because it was dedicated to “integrat[ing] the whole university experience into student life” by focusing on faculty and staff experiences, as well, and how they influence student experience. She continued to pursue Rosenblum’s mission of promoting a more engaged and spirited university community, a mindset exemplified through the introduction of University Life’s new Vision Statement in 2007: “University Life creates purposeful learning environments, experiences, and opportunities that energize ALL students to broaden their capacity for academic success and personal growth. Through innovative programs, partnerships, and direct services, students discover their unique talents, passions, and place in the world.” Under her leadership, University Life also introduced its Core Values in 2007: Foster Student Success, Live and Act with Integrity, Embrace Our Differences, Catch the Mason Spirit, Show You Care, Dream Big, Celebrate Achievements, Pursue Lifelong Learning, and Lead by Example. The increase in the number of residential students which led to new programming also called University Life to examine other constituencies that it could better serve. Off-Campus Student Programs and Services was created to provide information and resources to a large commuter population, and Graduate Student Life was developed to ensure the integration of graduate students into the campus community. New offices were also created to help students foster particular skill sets; when Scherrens came to campus, she did not feel as though there were opportunities for students to engage in leadership development, so the LEAD (Leadership Education and Development) Office was born just two years after her arrival. Dr. Rosenblum had believed that diversity was one of George Mason’s strengths, and Dr. Scherrens viewed it as a great asset, as well. University Life continued its partnership with the NCBI, collaborating with professors to provide diversity workshops in entry-level communications classes and becoming the headquarters for the Northern Virginia NCBI program. The campus, which had been diverse when she came in 2004, continued to become even more diverse, and the success of University Life lay not only in recognizing that diversity, but also in addressing issues associated with it: “What we continue to do better is to celebrate the diversity, to recognize where we are diverse. You want to bring everybody together to celebrate diversity, but you also need to make sure that individuals from distinct groups are getting the experience they want. [We have been] more deliberate about making sure we address the needs of our diversity.” This philosophy was embodied in one of the Core Values introduced by University Life in 2007 in “Embrace our Differences.” Cultivating an atmosphere of diversity is also part of the strategic plan of the university and is shared across the institution, from Admissions to university and student publications to the identity-based organizations of University Life and its Office of Diversity, Inclusion, and Multicultural Education. because they wanted to be a part of something. When asked what she would tell a future Vice President of University Life, Dr. Scherrens responded: “People and relationships are key, and I think that’s what’s special about Mason. [They’re] the foundation of everything; with solid relationships, you can create and overcome anything.” The transition to a new Vice President came more quickly than Scherrens anticipated, as her husband, Senior Vice President Dr. Maurice Scherrens, accepted a position as president of Newberry College in South Carolina in May 2013, and she decided to leave Mason with him. Associate Vice President of University Life Rose Pascarell became Vice President in 2013 to oversee University Life’s Strategic Plan for 2014. Whether overseeing intramural sports programs, planning weekend programs, or helping students to prepare for life after college, the offices of University Life “continue to be the catalyst for keeping the university connected and engaged” on campus and in the global community. Browse items pertaining to university life.